The Nath tradition (Sampradaya) is a timeless lineage of spiritual masters, connected with infinite consciousness through the greatest Yogi of all ages, Babaji Gorakshanath. These ancient Yogis discovered that the secret of cosmic consciousness is intimately linked with breath mastery. The life force can be channeled for higher activities by a method of calming and stilling the ceaseless demands of the breath. It began from Adi Nath, Lord Shiva himself, who gave it to his consort, Parvati Nath, who gave it to Shanmuk Nath, Ganesh, and Nandi Nath. Lord Krishna as Vishnu initiated Lord Vivasvat, the Spirit of our sun. The lineage was later guarded by the Kings of the Solar Dynasty, followed by Vaivasvat Manu, King Ikshavaku, Harishchandra, then to Lord RaghuNath (Rama), 47th in descent from Ikshavaku (he is the 8th Rudra, esoterically connected with Shiv Goraksha Babaji). Through this grand lineage of the Nath Yogis, the royal science of Kundalini Kriya Yoga has been preserved and handed down through the corridors of time by the ever-living Shiv-Goraksha Babaji. Yogiraj Siddhanath is descended from the solar Dynasty of Ikshavaku Rama. His spiritual lineage is also from the same source – blessed by Mahavatar Babaji to spread this Divine science of Kundalini Kriya Yoga in the East and West. Because the Nath Sampradaya does not recognize caste barriers, their teachings were adopted by outcasts and kings alike. 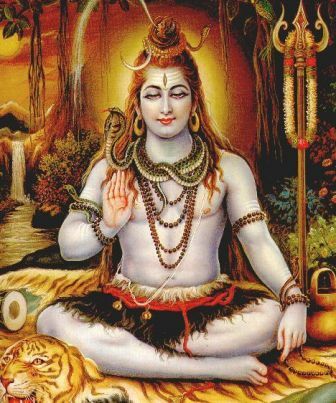 The heterodox Nath tradition has many sub-sects, but all honor Gorakhnath and Matsyendranath as their originators and supreme Masters. NOTE: YOGIRAJ DOES NOT BELONG TO OR ASSOCIATE HIMSELF WITH ANY NATH SUB-SECT BUT HAS BEEN DIRECTLY BLESSED BY THE PRESENCE OF SHIV-GORAKSHA BABAJI. IN THAT SENSE, HE IS A NATH YOGI AS WELL AS A KRIYA YOGI AND HAS HIS OWN TRADITION AND TEACHINGS OF KRIYA YOGA. DO NOT GO TO ANY NATH BRANCH OF YOGIS AND EXPECT TO FIND HIS REFERENCE THERE. HE TEACHES ALONE AND IS BLESSED BY THE SUPREME BABAJI WHO IS THE FINAL AUTHORITY OF ALL THE NATH BRANCHES AS WELL AS ALL THE BRANCHES OF KRIYA YOGA.